These days, bottled water is everywhere. It’s one of our most common accessories when heading out the door to work, sending the kids to school, packing for a sporting event, or gearing up for outdoor activities. And we all know that staying hydrated becomes even more important this time of year as we set out on summer vacations and adventures. Our West Caldwell dental office wanted to take a moment to talk about some of the benefits and disadvantages of drinking bottled water. Consider this! One of the most important things we can do for our bodies each day is to keep hydrated. This helps us maintain not just good oral health but overall health too. When you’re properly hydrated you will feel more energetic, your muscles and joints work better, toxins are cleaned from your body, and body temperature is more easily regulated. The average person should follow the “8×8 Rule” drinking eight 8-ounce glasses of water daily. Drinking plenty of water also prevents dry mouth, which can lead to bad breath and tooth decay. Swishing water around the mouth before and after you brush also helps remove food debris and plaque particles that can cause cavities. If you and your family are drinking solely bottled water, you may be missing out on one key ingredient that can help keep teeth healthy — fluoride! This natural mineral creates a strong resistance to tooth decay and is easily absorbed into tooth enamel. 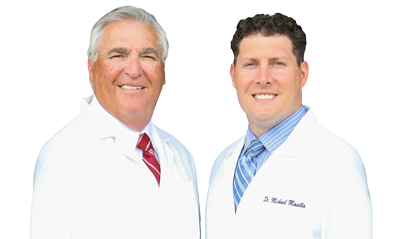 Your dentist in West Caldwell always makes sure to tell patients how important fluoride can be for children with growing teeth and women who are pregnant. 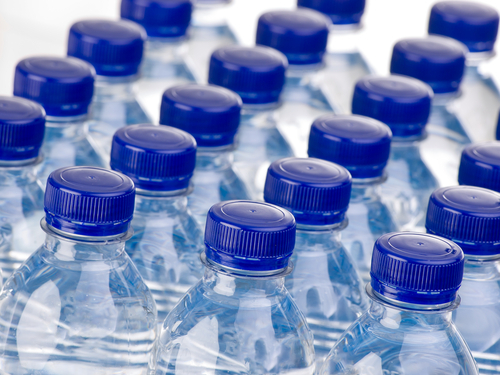 According to the American Dental Association, if you make bottled water your primary source of drinking water, you and your family may miss out on the preventive benefits that fluoride has to offer. How Can I Get Enough Fluoride? If you’re family relies on bottled water, there are still plenty of ways you can get your fluoride. You can add more of the mineral to your family’s diet by choosing prepared foods and beverages that that contain fluoride. Fluoridated toothpaste, gels, and varnishes work well too! There are also fluoride supplements available by prescription for children who live in areas without fluoridated water. Bottled or tap, it’s important to always drink plenty of water! If you have questions about fluoride or your oral health, never hesitate to give our dental office in West Caldwell a call. We’re always happy to answer your questions and listen to your concerns.